FileMaker Pro has built-in support for importing data from ODBC data sources - including Sybase, MS Access, SQLite and PostgreSQL databases. 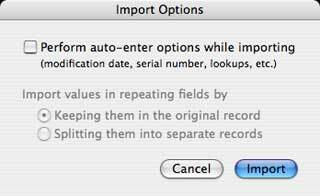 This tutorial will describe the steps involved in importing data into an existing FileMaker database. Note that if you are using FileMaker to connect to Microsoft SQL Server, Oracle, MySQL, Postgres, or DB2, you should consider using the External SQL Sources (ESS) feature. 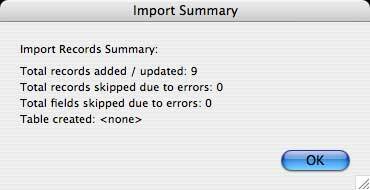 Let's suppose you use a FileMaker database created using the Contacts starter solution. Your sales information is stored in a Microsoft Access database, and you want to import your sale force contact information into your FileMaker database. 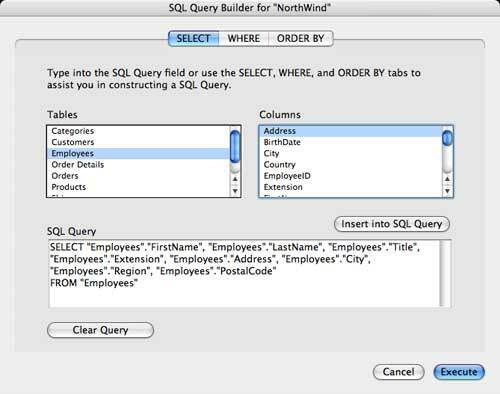 We will use the NorthWind example database, whose Employees table should map easily to the FileMaker Contacts database. Please contact us if you have any problems using the tables in your database. 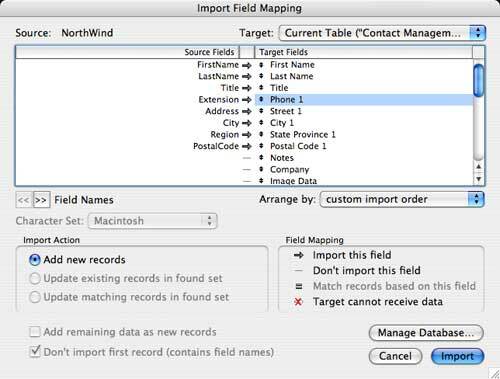 FileMaker will display the default form for Contacts. The database will be empty - you may create a few records if you wish. 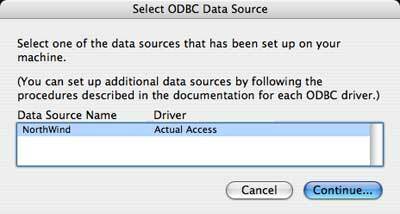 When the "Select ODBC Data Source" dialog is displayed, select the DSN that you configured previously using the ODBC Administrator, and press Continue. If applicable, enter your database User name and Password in the Connect dialog box. For Access databases, just leave the User name and Password fields empty. When you click on a table name, the columns defined for that table will appear on the right column. Double click on a column name to add that column to the SQL query. For this example, double click on all the columns of the Employees table. Then press Execute.